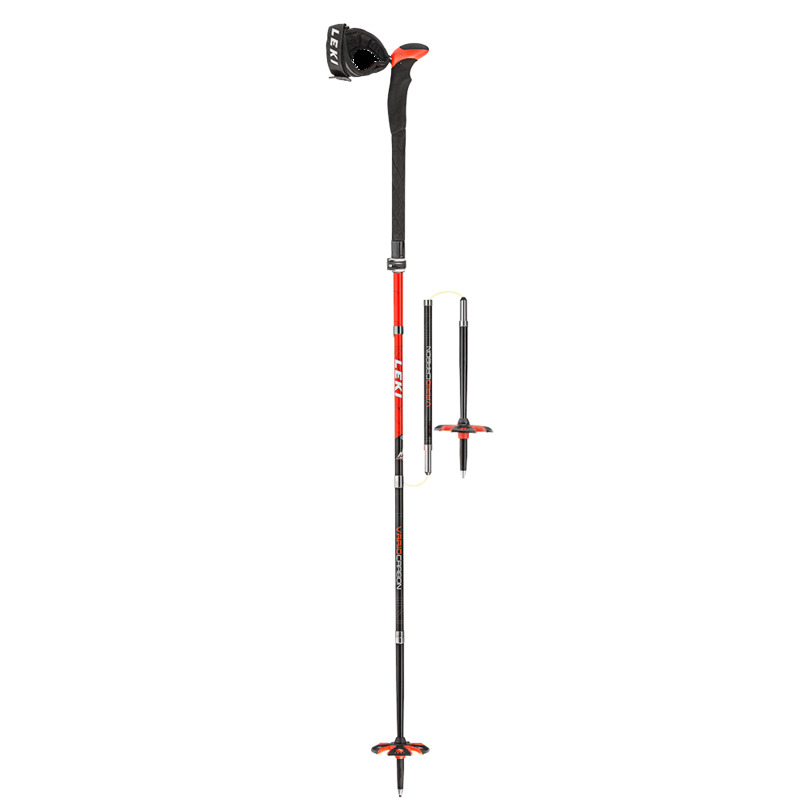 "If you are a fan of ski touring and technology, you will love this carbon LEKI folding pole. The push-button mechanism makes it quick and easy to put the pole together and take it apart again. Thanks to the Trigger S Vertical grip innovation, even when you are clicked in, you can grip the pole. Click flex change! What is more, the TV-certified Speed Lock 2 adjustment system enables you to adjust the length quickly and easily, even if it is cold and you are wearing gloves. What more could you want. Go Vertical or go home with the ISPO Gold Award Winner 2016! Pack size 41 cm "